More and more drivers and caring partners and family members are starting to embrace dashboard camera technology when they are driving. And that is what makes this deal so appealing as it allows consumers to grab tech which is growing in popularity with a decent discount applied to it. 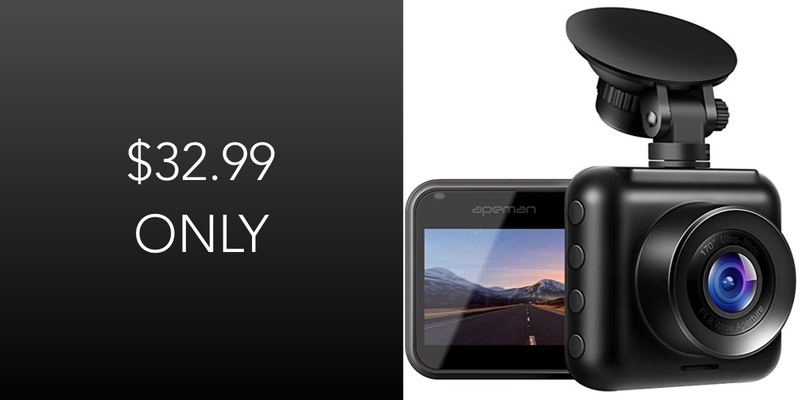 The first thing that you need to remember with this deal is that APEMAN is one of those companies that produces dash cam hardware which can be trusted. This particular product has more than 850 independent reviews on Amazon, all of which collectively give the product an exceptional 4.5/5 stars for the features, functionality, and overall reliability that it provides to those who have purchased it. The hardware is appealing from a visual perspective – although, that is entirely subjective you can argue that the company has done a great job on product design – and it also comes with decent features to match the visuals. It offers excellent full 1080p high-definition resolution and comes complete with a 170-degree wide-angle lens to give an exceptional field-of-vision and to ensure that all of the action is captured. Even on the widest motorways or highways. This helps to reduce blind spots and to ensure that nothing gets missed whilst it is recording. The camera is also equipped with what the company is calling “super night vision,” which means it is equipped with an advanced sensor to ensure that as much light as possible is taken in. 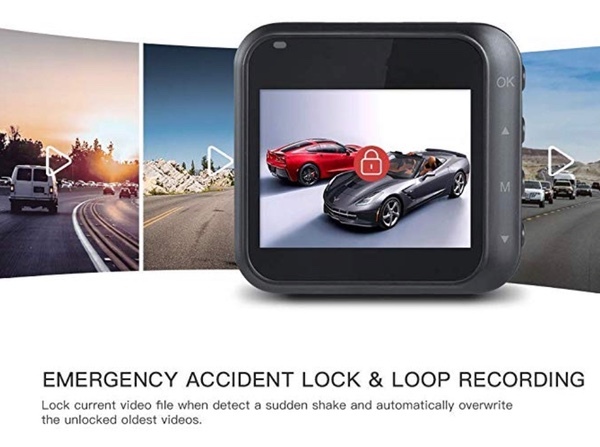 There is also loop recording and motion detection functionality to ensure that this camera never misses any type of event or occurrence but that it is also intelligent enough to ensure that the inserted SD card never actually fills up so you won’t miss any important action. Finally, the camera is equipped with a 2-inch TFT-LCD screen and compact button design that ensures it has everything you need to operate it efficiently and easily but that the design doesn’t get in the way of that operation. If this is the type of product that you have been looking for, then make sure to grab it right now at this lowly price.